Vodka No Look Labels: There’s Actually a Lot to See! Vodka is a clear liquor. So are gin and quite a few others that aren’t household names. That being the case, why is emphasis now placed on the clearness of vodka from a product label standpoint, while those other distillations could be as clear as spring air and not get a special notice? One of the main reasons — at least in the Western Hemisphere — is our perception of how the drink can be consumed has changed considerably in the new millennium. No long ago, vodka was a beverage that only the most intrepid drinkers consumed straight. However, unlike gin, whose strong essence of juniper berries begs for dilution in cocktails, a sip of vodka doesn’t have an overpowering effect on our olfactory receptors. The pungent rush of alcohol is there, but it lacks a hard aftertaste, as long as we’re drinking a brand that doesn’t have impurities. In the ever-evolving world of alcoholic beverages, vodka’s clean finish makes it a liquor we now savor straight, dressing it up with a practically endless variety of flavors that come through strong, unlike the “hints” of ingredients we pride ourselves on perceiving in bourbon. The perception of vodka as a stand alone drink — particularly for its homogenous taste — can be visually communicated to consumers using unique labels known as “vodka no look labels”. Plenty of vodka brands go in a different direction, using opaque labels, wrap around bottle graphics that are as dizzying as the drink itself, and wild, colorful images of flavor indicators (pineapple, cinnamon sticks, smores, etc.). Moreover, vodka no look labels are a prominent labeling trend like the other visual elements, creating a look that could be great for your distillery’s bottles, depending on their appearance and your vision for the brand. 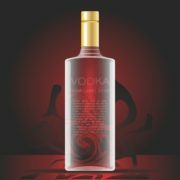 Vodka no look labels are usually made from polyester, which has a clear, glossy finish; a glossy, transparent finish; or a matte, transparent finish. If the bottle has a frosted look, the matte option is popular. If the bottle is clear, one of the glossy options is commonly selected. The goal is to create a bottle and label combination that coalesce to create a uniform aesthetic, along with the distillery’s graphics and information. When made from tough polyester and applied with permanent, water-resistant adhesive, vodka no look labels have important added benefits: They are virtually impervious to moisture, are difficult to scuff or tear, and don’t peel at the edges. These qualities make the labels a perfect option for avoiding label damage that can occur during packaging, shipping, unpacking, and stocking. Interested in Vodka No Look Labels? If so, we’d like to learn about your brand, and present some no look label options to help you decide if the “no look” is the right look for your distinctive product. To learn more, call us today at (262) 790-2740, or send us an email through our contact form. We look forward to hearing from you! https://flexo-graphics.com/wp-content/uploads/AdobeStock_121099479.jpg 2083 2083 fgadmin /wp-content/uploads/flexologoOLG.jpeg fgadmin2017-05-12 13:29:322017-05-19 13:48:10Vodka No Look Labels: There’s Actually a Lot to See! Distilleries have been around for thousands of years, and so have distillery labels for identifying the liquors they produce. When an antique bottle of liquor is discovered today, it’s label is typically in bad shape — and, often times, the label is missing. How some liquors are distilled has remained remarkably the same over the centuries, but technology for distillery labels has increased significantly over the past few decades. Today, we know what separates a good label from a bad one by reviewing the four basic characteristics of the product, among others. Are you bottling a high-end drink that’s likely to be placed in a liquor cabinet and sipped slowly over the next year, or is your distillation a low-priced drink that’s likely to end up in a batch of frat party punch? If your product tends to be savored instead of guzzled, it’s good to use distillery labels that have permanent adhesive, which helps keeps the label in place for the life of the product. Plus, the label is probably intertwined with branding, establishing part of the product’s aesthetic appeal. You want it to stay in place for that reason, too. Some liquor aficionados quickly fill up a liquor cabinet and need some extra room. If their home has a cellar, newly purchased, high-end liquor is often placed in the subterranean space. It may also be placed in a temperature-controlled wine cabinet that doubles as a liquor repository. Both options have one thing in common: They have a relatively high moisture density, which can wreak havoc on labels not made for the end conditions of storage. It’s important to work with your convertor on thinking the entire storage process all the way through. Your label can say a lot about the quality of your liquor. Ingredients and the aging process are two quality indicators, but so is your logo and associated images. For example, if you’re distilling rum, do you really want the label to have a figure that impersonates Captain Morgan, as numerous other rum producers have done? If your concoction is an inexpensive “biggest bang for the buck” type of drink, maybe so. If not, don’t expect consumers to consider your distillation a true original if it doesn’t appear to be. There’s information you’re required to print on distillery labels by law, such as alcohol content, and information you can add to distinguish your liquor from others in the same group. For example, it’s become popular for vodka to be differentiated by taste (grape, orange, marshmallow, etc.) in addition to brand. Similarly, the age of bourbon and taste notes of scotch are popular differentiators. Information used to distinguish your liquor in a positive light can help it sell — and, sometimes, a small distinguishment, such as a single, special ingredient, can seal the deal. When it comes to marketing, sales, and the consumer experience, the characteristics of the distillery labels you use can make a big difference in more ways than one. To get started on creating the perfect labels for your liquors, call Flexo-Graphics today at (262) 790-2740, or send us an email through our contact form. We look forward to helping you achieve perfect labels! As a label supplier, we’re accustomed to receiving information that’s essential for customers to print on their products, from FDA-required disclaimers to product-specific instructions. We also receive information that’s not essential by law or company mandate, but nonetheless plays an essential role in marketing. Craft beer is a good example of a product that uses this type of information. Craft beer has gone from a beverage that intrepid beer lovers used to make in their spare time to products you can pick up from a grocer on the way home from work. But before they choose a six-pack to help them unwind, craft beer lovers often look for three technically inessential yet important pieces of information on the product label — information that can make or break the sale. 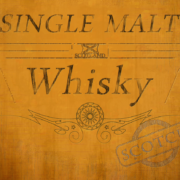 It’s a given that spirit labels identify the style of brew (lager, pilsner, ale, etc. ), but they should also indicate whether the product was created with a particular season in mind. Part of the attraction of craft beer is that it isn’t batch-brewed as plentifully as big name beers. Seasonal craft brews have the most limited quantity of all, making them especially desirable. 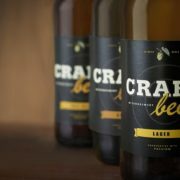 What inspired someone start brewing a particular craft beer? Do they still use the same processes and quality control now that the product is barcoded? Sometimes, the great story behind a craft brew can almost make it seem to taste better. Craft beer is a big business now. But to many, craft brands still seem more passionately created and homegrown than major corporate brands that first hit store shelves eons ago — and this is something craft brewers can capitalize on by telling the gist of their story on the label. You’d be hard pressed to find a traditional beer brand in the U.S. that clouds its golden beverage with ingredients like chili powder, ginger paste, raw cherry juice, and cumin. But these non-traditional ingredients are fair game on the ingredient list of many craft brewers. The appeal is obvious: The drink tastes far different than something from, say, Miller or Coors — and there’s a good chance the rarefied formulation won’t be available forever. Craft beer lovers snap it up while they can. Spirit labels apply specifically to alcohol: beer, wine, hard liquor, meade, and any other libation people drink enough of to make brewing and selling it commercially highly profitable. For every category of alcohol — and for specific brands — are pieces of information that, while not required by law or policy, are nonetheless essential to place on the label. 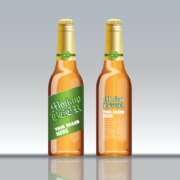 If you need spirit labels for craft beer that reflect how consumers buy regarding the information they look for on the label, Flexo-Graphics is here to help. To learn how we can design beverage labels that are perfect for your applications, call us today at (262) 790-2740, or send us an email through our contact form. We look forward to learning about your libations!